Should the UK Parliament have been given a Brexit vote? Brexit isn’t exactly off to a great start. In another blow to Theresa May’s negotiating strategy, the Supreme Court of the United Kingdom has ruled against the British government on the question of whether or not Parliament should be given a vote before Article 50 can be triggered and the UK can formally begin the Brexit process. It is highly unlikely that the House of Commons (where Theresa May’s Conservative party has a majority) will try to prevent the government from triggering Article 50 entirely. 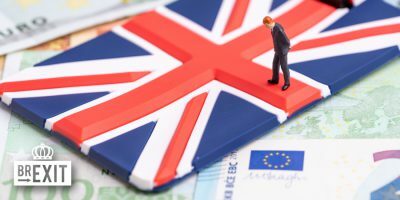 However, a coalition of pro-European Tories and Labour MPs might try to attach amendments to any bill, potentially softening the impact of Brexit. Some critics believe that the British Parliament (with the collusion of the judiciary) is attempting to frustrate the will of the people. They believe that Theresa May has been given a strong mandate by the referendum. However, many are alarmed by the tone of the debate – with independent judges being politicised and dubbed ‘enemies of the people’ by a hostile press. 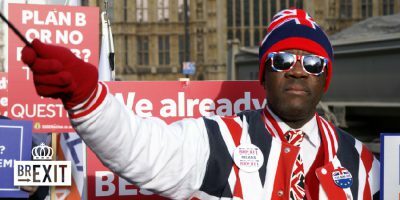 Should the UK Parliament have a vote on triggering Article 50? 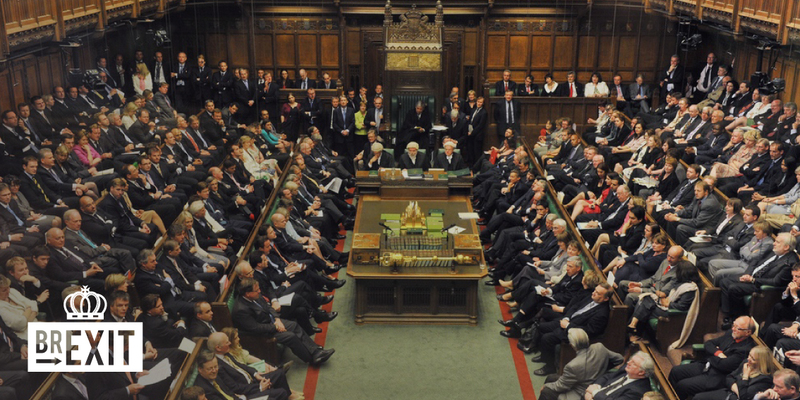 Is it ‘undemocratic’ for elected politicians to be given a say? Let us know your thoughts and comments in the form below and we’ll take them to policymakers and experts for their reactions! They are servats of the people, and people have voted. It was a referendum not a vote it was advisory only to parliament . Now parliament decides. They voted in a referendum! Which was of advisory character. Not decisive. MP’s got the same vote the rest of the country got. That is democracy. I find it utterly disgusting that a businesswoman with enough money to afford a legal case can subvert the will of the majority and for people to call that justice. If this does end up preventing or even worse perverting exit from the EU then there needs to be a revolution in this country. And unfortunately for everyone involved it will be UKIP and EDL who lead such a revolution. What will society look like after that I wonder? And people are worried for the EU immigrants rights as it is . . . . . . . . . . Advisory? You got to be kidding. Everyone under the age of 18 didn’t vote, ergo according to your logic that ‘muddies’ the ‘will of the people’ too! Of course, it’s democracy, isn’t it? Yes, they should be give a vote on triggering Article 50, because the Supreme Court, after very careful consideration of all the evidence, has just ruled that it is a legal requirement. The idea that parliament and the judiciary are in some way colluding on this is nonsense. For a start ‘parliament’ is made up of MPs from various political parties, some of whom support remain and some leave. Also, the British judiciary is independent. Of course judges can make mistakes, and can have their own personal bias, but if you wish to disagree with their judgement you have to make better legal arguments. Or change the law, which is done through political process. We’ve needed political reform for a long time. Let me ask you for a second to consider the difference between legally correct and justice. Therein lies the problem. The law is supporting a system where a few hundred people wield supreme executive power over the millions who voted in the referendum. That is unjust, even I this time round parliament do not use this vote to try to ignore the will of the majority, the fact that our courts have said it is legal for them to do so is undemocratic. I don’t frankly care what technicalities of law were brought to the case, what I care about is 11 of our highest judges had the issue brought before them, they could have ruled that referendums are sovereign over parliament, they could have done it in any number of ways. They didn’t and so we have a situation still where a supposed democracy is in fact still being controlled by an elite few. Is this because of colluding? Maybe, maybe not. But the persons involved all stood to gain by nothing changing and oh look . . . . nothing changed. It’s not pointless . It was a referendum advisory to Parliament. Who now decides” that’s democracy . That’s what this was about . Or the PM could be a dictator . Yap yap yap. It is still to be executed. Parliament will decide, as always. 1.a system of government in which most of the important decisions are taken by state officials rather than by elected representatives. “Is it ‘undemocratic’ for elected politicians to be given a say?”…in this case no, because the UK parliament already voted by a margin of 544-53 to empower the British people to hold the referendum in the first place ….. There is no arrogance in the ruling of a court. That is your subjective opinion and it was a British court, not an EU one. If this is what the law says, of course, Parliament should have voted on Brexit. That is the whole point of having laws and a constitution, so that everyone respects them and complies with them in order that the nature of the state can be guaranteed as well as the rights that people enjoy within it. Otherwise, any random government could be coming up with any referendum, brainwash people into voting in a particular way and then change the nature of the state on the back of the “democratic” referendum. That’s how you get a dictatorship. Democracy in Europe is going through a crisis but court cases such as the one in the UK and some in Greece exactly show the resilience of the system and that it is here to stay. The far right is trying to bring authoritarianism through the back door and annihilate core democratic values and principles but is not being very successful, which is generating anger. Society has moved on since Hitler and more people are now capable of seeing and stopping authoritarianism. This what courts and judges are there for: to enforce people’s rights. It is shameful that a government has to be taken to court in order to be made to respect the law and the nature of the state. It is not the first defeat for the UK Government. And it’s funny how those who are desperate to stay in the EU and dispute the legitimacy of the the referendum conveniently forget it was a referendum that kept the UK in the EEC back in 1975…… or were referendums in the 70’s more “democratic” than these days? So, if the law still said it was legal to hang scottsmen from the walls of York city and I went around doing it you’d be cool with that then? You know, coz it’s legal. . . . . . . . Besides the SC ruling, to make head or tail if the 2016 UK referendum was “binding” or not on the UK “Parliament”- why not visit the historical pages- how it all started? Interesting is the clear distinction made in the UK between Government and Parliament. Parliament is sovereign in the UK (not the populace) and could overrule Government if they so wished. Some lessons to be learned for future governments. 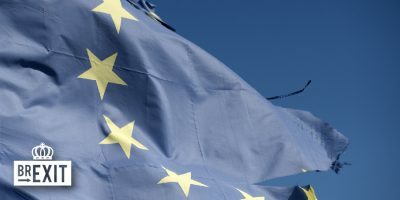 More importantly for EU members: can the intricate effect of EU treaty laws on National ones be described as democratic, infringing, downright undemocratic or so invisible & sophisticated like Computer Viruses? More EU integration will necessitate that EU laws become national laws; national parliaments will lose any presently held sovereignty over their own governments (ruling party). The perfect recipe for Brussels totalitarian ambitions & unhindered rule under cover of never ending love! Are folks aware & finally desired? “Nations” being made extinct & obsolete! Their power (self determination) will in future be restricted to choose which potholes to fix- & where-, determine their Town managers & maybe water & electricity tariffs. Once decided to Tango with Brussels- one can never Waltz at home! Just ask yourself why they decided to vote for a referendum to be held without making it legally binding. Presumably they never cared about the result or intended to implement it, regardless of what it was going to be. The non-binding nature of the referendum is not under any dispute. It is yourself who is disputing the validity of UK law and the function of the justice system. If you are not prepared to respect those, you have the option of leaving the UK. Laws and constitution are binding for everyone, including the government and have been voted by a democratically elected parliament. Their self-determination is to be united, EU Reform, like it or not, and they see themselves as one nation. Your idea of a nation died together with Hitler, but his supporters are still around. Karoline, is quoting “Hitler” YOUR way to protect the EU from criticism & hide the truth? Fake news! Want work! Shouting an order “TO BE UNITED” is typical defensive EC Juncker manners. HIS ancestry reveals support & roots of the “ANSCHLUSS” idea. Many world nations still struggle to obtain, regain or maintain self-determination. Unfortunately, the present trajectory of the EU concept is just an unsustainable & wasteful experiment. You can tell why some people become high court judges while others go on on-line fora in order to act smart. It would be a waste of time to argue with them. @Karolina, so in an absolutely sincere way, you feel that it I good that between them the courts, a selection of MP’s and a multi millionairess are able to ignore everyone else in the country? You think that system is genuinely fair, democratic and is the best way to prevent dictatorship? Your last comment, was it aimed at you by any chance? I cannot help but feel you are a remain supporter who is saying these things purely because you hope we will now remain in the EU. So let me put it like this, if the situation was reversed, the people had voted to remain and a rich businessperson and the courts decided that it was within our constitution to ignore that result and issue a vote to parliament to decide if we would trigger article 50. How would you feel about it then? Moreover, the Conservatives won an election with a manifesto pledge to hold a referendum, parliament voted in favor of holding a referendum, the UK voted in the referendum to leave the EU. Three votes about it have already taken place, we’re now going to have yet another vote, followed by much more voting about the details if parliament actually do respect the voters will. How many votes do you truly think are needed? Want to wait until 2020, when if we still haven’t left the EU UKIP win a general election? Think common sense and rationality stand a chance then do you? A UKIP government would be the UK version of a Trump Presidency. But if push comes to shove I’ll vote for them, if the system leaves me feeling there’s no other option. And I can assure you I won’t be the only one that will. And then there’s the deplorables that will go out and start killing, killing immigrants, killing judges, killing MP’s killing remain supporters. What a great and wonderful situation you’re wanting for the UK. No. The politics of the judges is a far cry of their real role. The left has turned the judicial in their ultimate weapon when all else fails. The referendum was a democratic vote by the citizens, more reliable then the Parliament. Why only British and not equally Scotish and Irish? 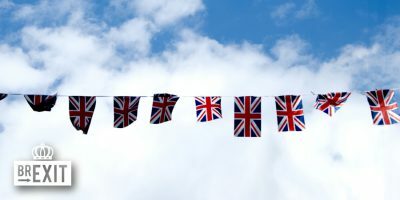 Scottish are British and Northern Ireland is part of the United Kingdom, the distinction is so slight the terms have become interchangeable in their use. Tarquin, you should know full well that Wales is also British. Actually, in the technical sense not the Irish. As stated earlier Nothern Ireland is part of the UK, not Britain. But the two terms have become synonymous in their popular usage. I think the difference is to do with monarchy, wales had princes governing regions until they were conquered by England and the title of Prince of Wales given to the heir apparent of England thereafter. The Scottish Crown and English Crown were inherited by the same personage after the end of the Tudor dynasty. Ireland had not had an independent monarchy ruling the nation as far as I’m aware since before the Norman conquest (possibly at all, my knowledge of Irish history this early on is scant at best) so it would make sense for this to be the reason behind the differing terminology. But that’s just conjecture on my part. Many UK citizens were disenfranchised from the referendum vote. Anyone outside the UK for more than 15 years for instance. Most referendums in major constitutional change also require a threshold. This one was in effect determined by a minority. It’s also time to reduce the voting age to 16 or even 14 since they will be stuffed with the burden of paying for these decisions. For the consequences I recommend Brexit. What the hell happens now? You are way off beam meastro! The vote to leave in the Referendum was an overwhelming majority vote to do so. And had absolutely no right to be dragged through the courts by a Ugandan woman who felt she was going to make hay whilst the sun shines. Why do I say the vote was overwhelming? Because under British law to remain silent implies consent. And the vast non voters by not going to the polls gave their overwhelming consent to the majority who did vote to leave. Tim,………..”time to reduce the voting age to 16 or even 14″…. ??. Your absurd statement about reducing the voting rights to 16 or 14 rears of age demonstrates that even “adults” vary in reaching a level headed maturity threshold! I consider your suggestions as grossly immature- maybe low, desperate & reckless political opportunism. Go ahead & be ruled in “YOUR sphere of influence” by a bunch of still maturing children. In a brainwashed world, the voting age could not be set high enough! So, children not considered responsible by law are responsible enough to vote in your opinion? How ridiculous, why not go the whole hog and let those considered not of sound mind to vote too? Heck, since the vote also affects animals why not let them put their print to the ballot paper? Utter nonsense. Yes… For the country is sober now… and doesn’t want to make the same mistake…. And May has to go….